Modern technologies are advancing in leaps and bounds. Obviously, this progress also shapes the automotive world. 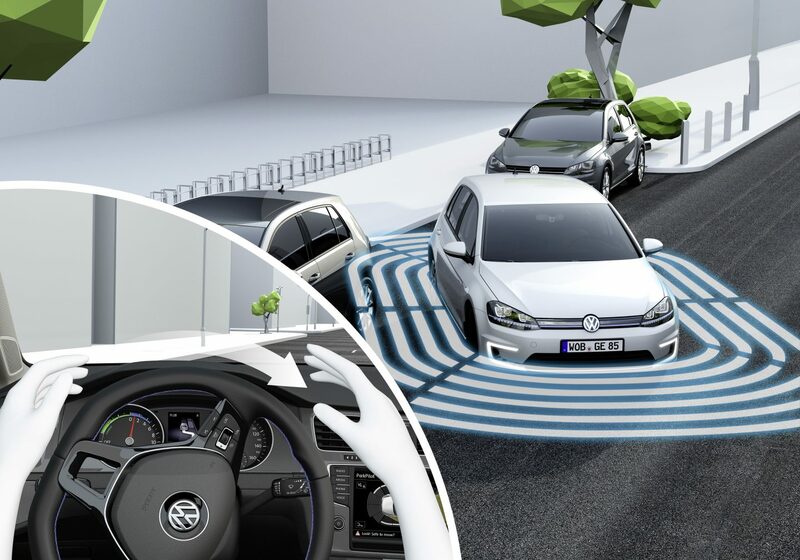 Let’s take a look at the latest innovations in connectivity that ŠKODA is planning for you. The latest addition to the ŠKODA family, the SCALA, was unveiled in Israel at the beginning of December. Being the youngest model, it is also the most progressive car, including in the realm of connectivity. 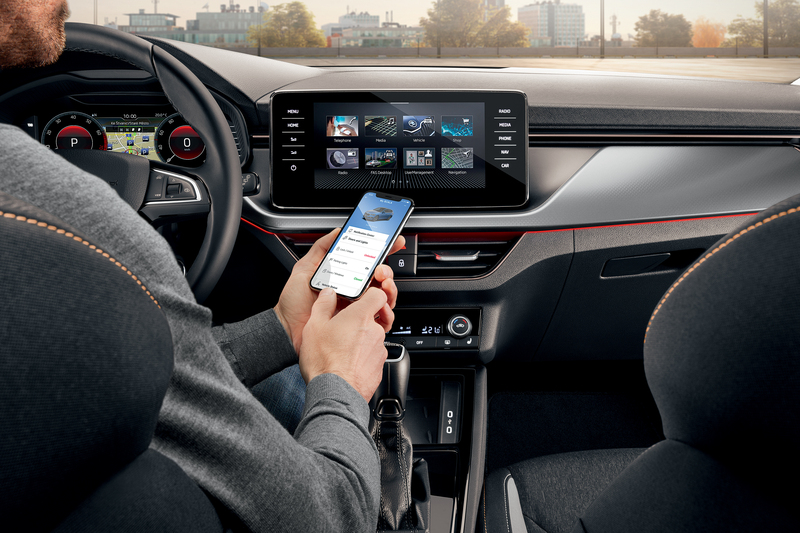 The eSIM card with LTE connection, built in as standard, makes the ŠKODA SCALA the first car from the Mladá Boleslav carmaker to be “Always Online”, providing an uninterrupted connection to the internet. This is another step on from the last model to be introduced, the KAROQ. It lets drivers use services such as automatic if the airbag is deployed or manual notification of an accident, operator assistance in the event of a malfunction, proactive service planning, and the keeping of records on the car’s condition. 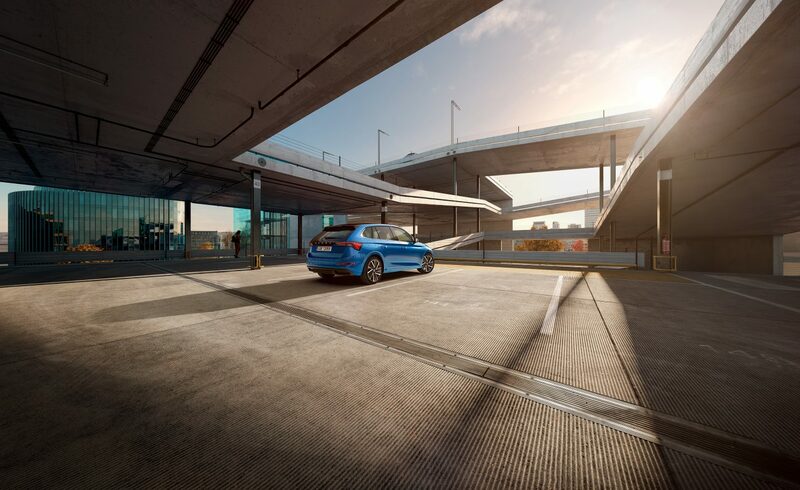 Depending on the trim level, drivers can also wirelessly download various applications to their infotainment system or map updates to their navigation system. While we’re on navigation, the SCALA also makes life easier for its occupants with new, hybrid searches for points of interest (POIs). This feature effectively combines online and offline search methods. As the SCALA features the latest infotainment, now in its third generation, its systems boast a better and faster response than predecessors. 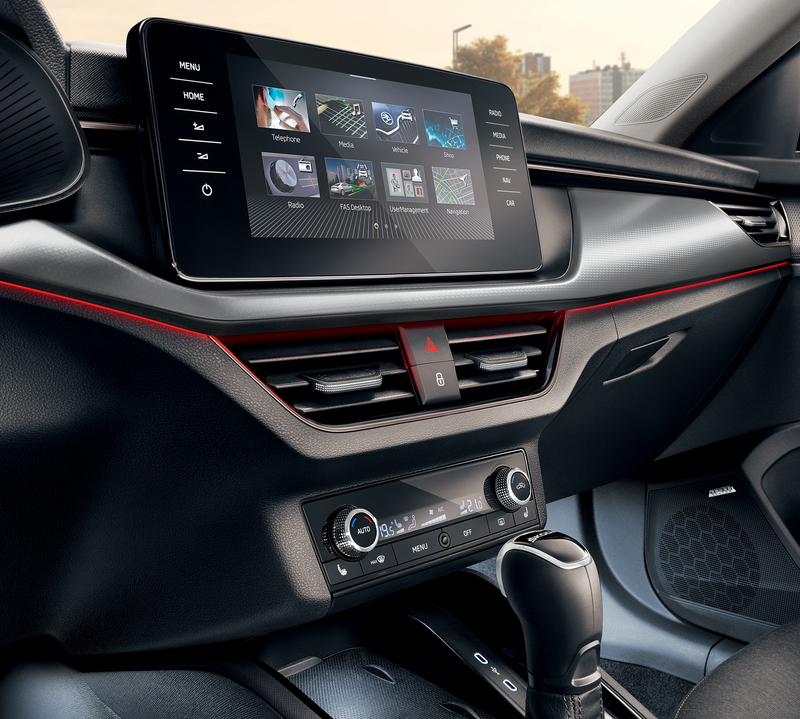 “The ŠKODA SCALA is the first car in the Volkswagen Group with the newest generation of infotainment. This generation has been redesigned and is more flexible and customisable, so it can fulfil even more customer needs. As ŠKODA transitions to a platform provider, our cars will offer more and more connected features, from streaming applications, shopping experiences and valuable offers for occupants. 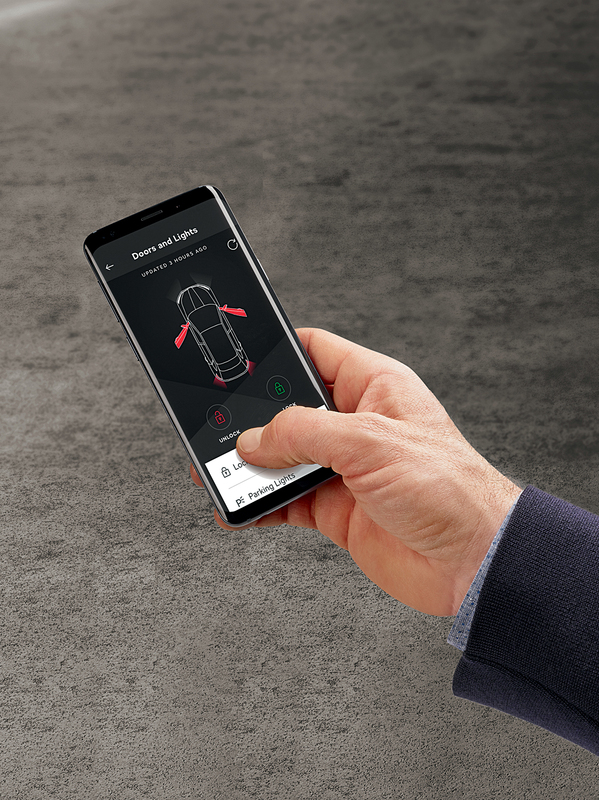 Via infotainment applications, which will be downloadable directly in the car, you will be able to remotely control your smart home from your car in the near future,” says Sebastian Lasek, Head of Connectivity at ŠKODA. 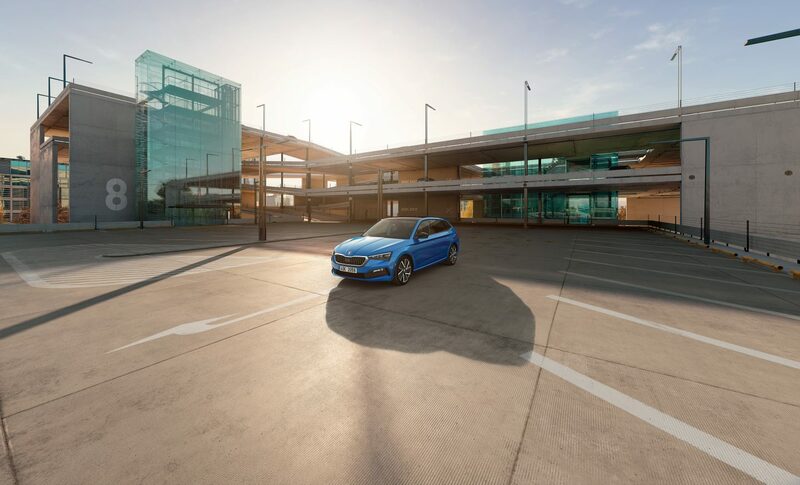 As the ŠKODA SCALA enters the market, the world of online connectivity is changing. Reflecting the freshness of this new model, ŠKODA Connect has also reinvented itself by building on new ŠKODA DNA and responding to trends in mobile app development. “As with its vehicle development, ŠKODA monitors user feedback in the creation of its mobile apps. The developers have done their utmost to incorporate that response into those apps. Courtesy of such user insights, all features are now more accessible and navigating the apps is more intuitive. 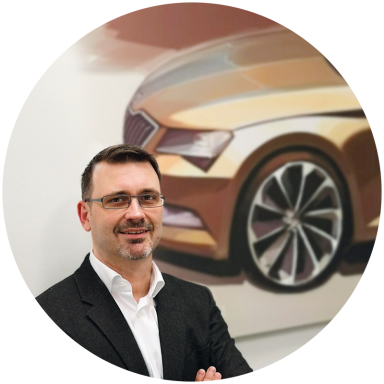 The end result is that users have a better understanding of the condition of their vehicle and can find out more easily when to organise regular servicing,” explains Petr Kredba, the developer of connectivity in ŠKODA. “Another feature that makes life simpler for users is the ability to lock the car remotely if they are not sure they secured their vehicle on leaving it. 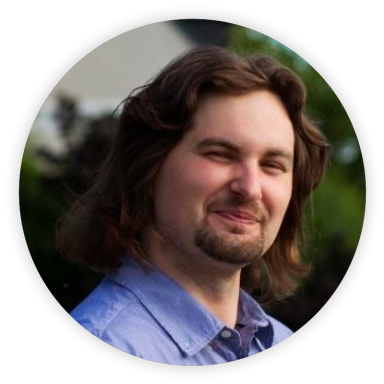 In the winter, many users are sure to appreciate how easy it is to switch on the heating, so when they get into their car first thing in the morning it is already nice and toasty,” says Petr Kredba, adding that this applies to those who own vehicles with independent heating. There are also new connectivity options inside the car itself. The ŠKODA SCALA allows users to download apps to the car from the app store available in the infotainment system. The app store will be launched with the ŠKODA app suite, to be followed over time by other applications. “Initially, users will be able to access Weather and News. This will be followed by the Calendar app, which will display upcoming events and, if the user so wishes, provide navigation to them,” concludes connectivity developer Petr Kredba. In addition to being more connected, ŠKODA cars are also getting smarter. 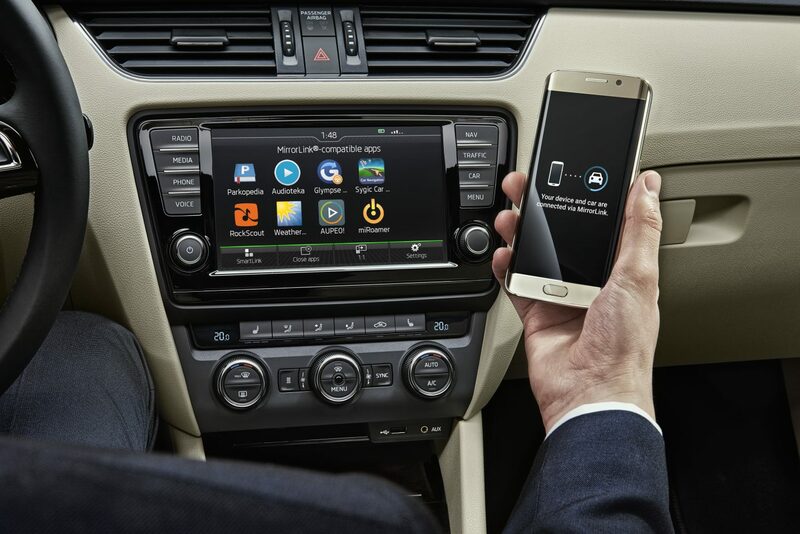 It is now possible to communicate with ŠKODA cars remotely via voice control. 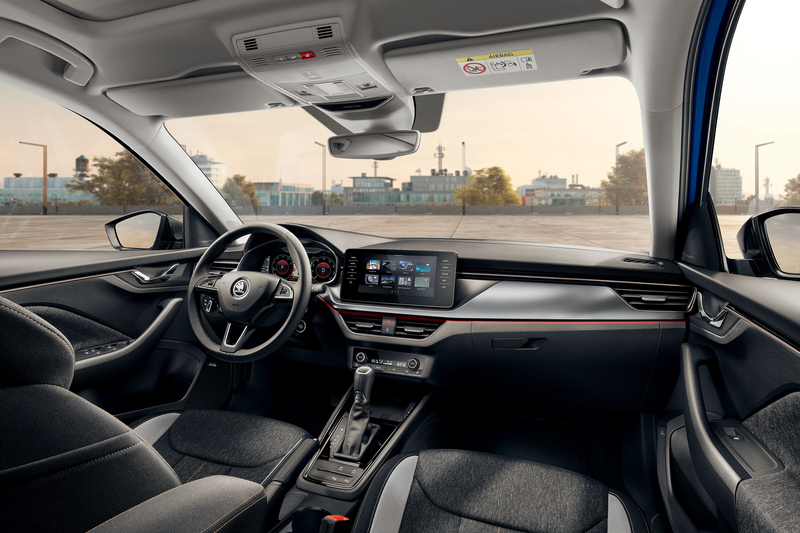 Inside the car ŠKODA is improving the driving experience with advanced voice integration that aids in better hands-free control of the car. In 2018, ŠKODA integrated the Alexa voice assistant (yes, that’s Alexa from Amazon). 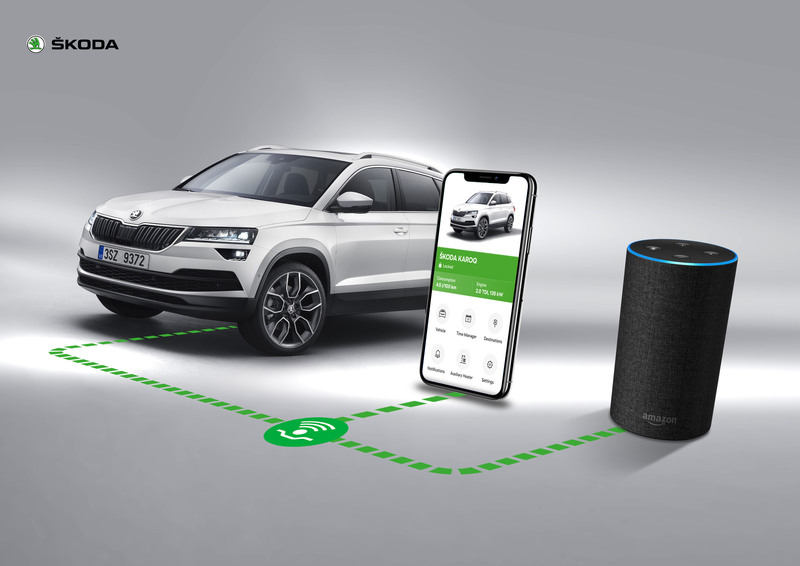 With the ŠKODA Connect Alexa Skill, customers can communicate with their car via an Amazon Echo speaker in their home or via smartphone and the Alexa app. “With Alexa, we reacted really quickly. We respond to customers’ needs as quickly as possible,” explains Sebastian Lasek. The initial phase in Germany and the UK was pronounced a success and Alexa has now been rolled out in the UK, France, and Germany. It is also available for drivers in many other countries, but they will have to communicate with Alexa in English, German or French. She tells them how much fuel they have left, whether the windows and doors are closed, whether the vehicle is locked, where it is parked, and other useful information such as the average speed, consumption or daily distance travelled. 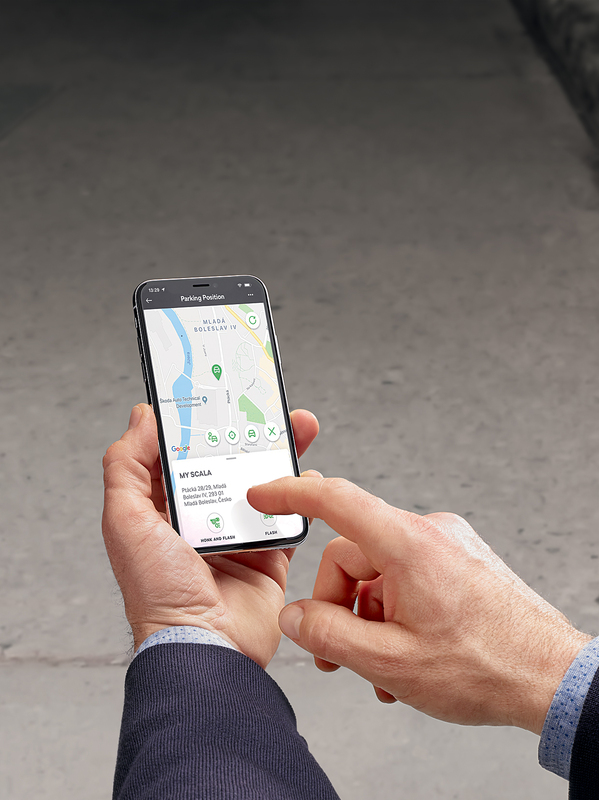 The ŠKODA Connect Alexa Skill can also offer information about the next inspection date or where to find the nearest ŠKODA dealership. And how easy is it to interact with Alexa? Very! Anyone with a basic knowledge of English, German or French can quickly get the hang of it. First of all, you need to download the ŠKODA Connect Alexa skill (Alexa calls apps “skills”) from the UK/German/French Amazon website and pair it with your device. And then? Let’s take English – the most widespread version in the Czech Republic – as an example. In conclusion, it’s important to realize what works for smart assistants in the home will not necessarily work for smart assistants in the car. The landscape is different and requires a new set of solutions to a unique set of problems. One way to solve these problems is through superior app integration. Very few builders of apps have thought much about tailoring their navigation for use with voice control. In-car providers of voice-assistants need to adapt better to the landscape and make something that’s truly valuable to the driver. That’s why ŠKODA is hard at work developing state of the art systems that make driving both easier and fun for the occupants.